Stringing Supplies - Beadalon Wire, Cord, Leather, Thread, Etc. 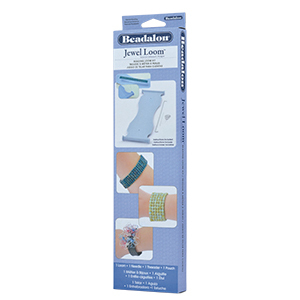 The Jewel Loom, is inovative, portable, lightweight and easy to use. The sleek design with a work suface of 2.75" wide and 10.5" long is perfect for creating fashionable, on-trend jewelry pieces. Instructions included.